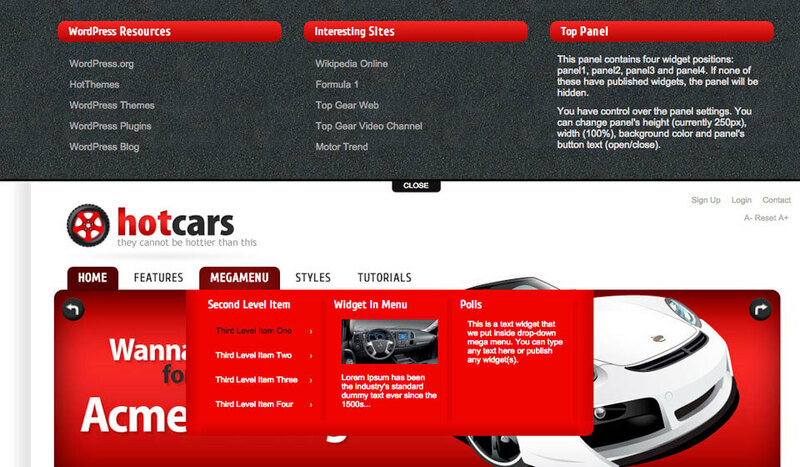 We have been inspired by cars when we were designing the automotive WordPress theme. If you like cars and if you are interested in the automobile industry and auto sport, you should consider making a website about cars. Hot Cars can be interesting for a blog where you write whatever you like about cars and events from the automobile industry. 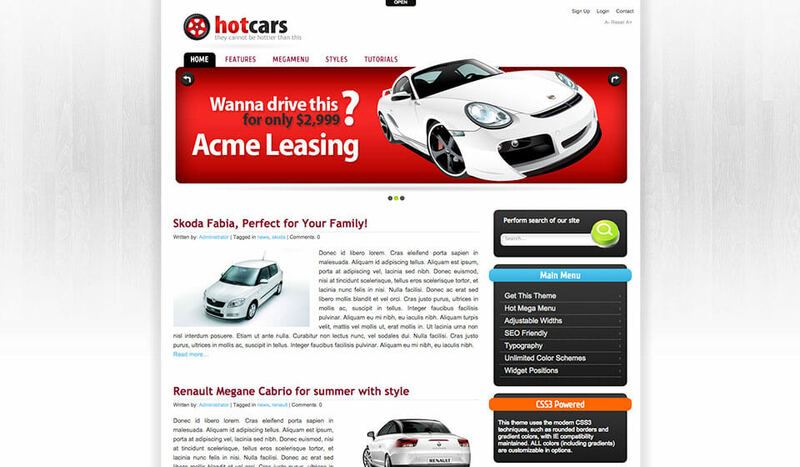 Automotive WordPress theme Hot Cars can help you to achieve that. Hot Cars can be also used for making a corporate website. 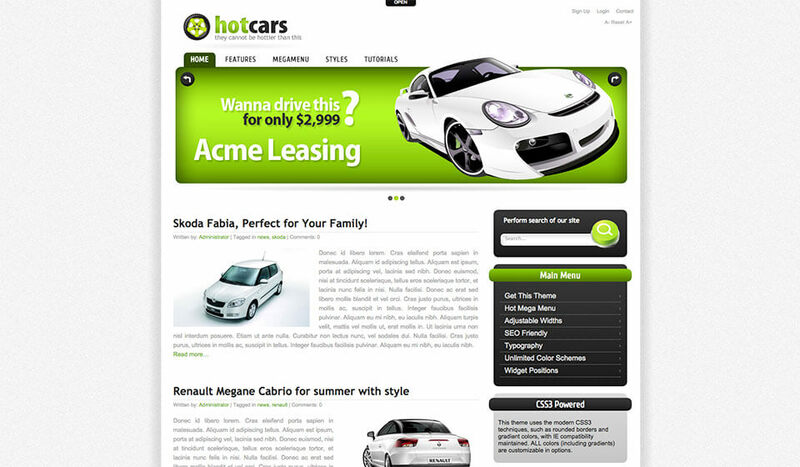 Consider this theme especially if you are selling car parts, run rent-a-car agency or have a car shop. 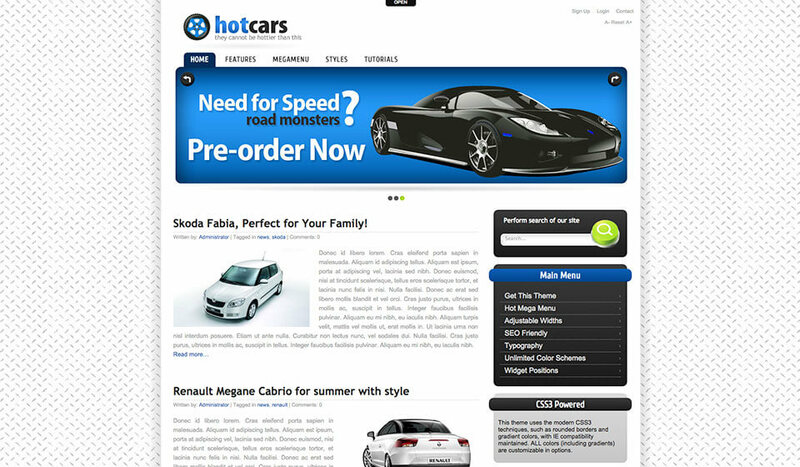 WordPress platform is very good for such kind of websites because you can tag your posts by car types or car brands. This theme is powered by our Hot Effects Rotator plugin. You can see it on the front page. It rotates plain or linked images. Between the slides, you can see some nice jQuery transition effects. We have created 3 differently colored styles (red, green and blue). The fourth style is a combination of several colors. 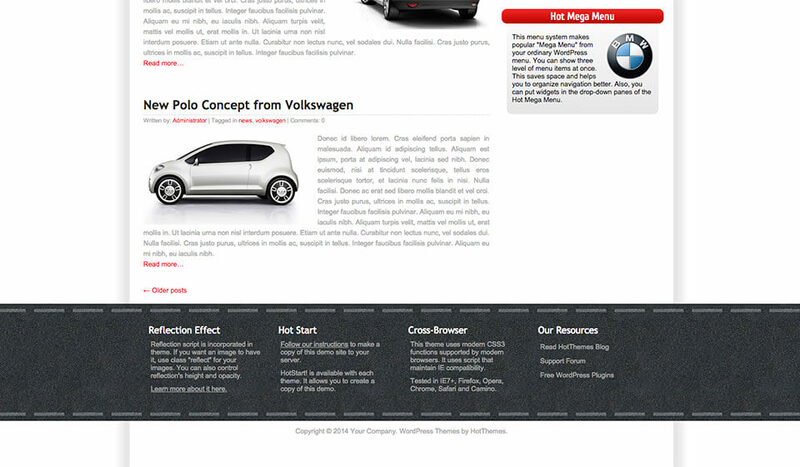 Though, like all other themes, we tried to make the automotive WordPress theme as customizable as possible. 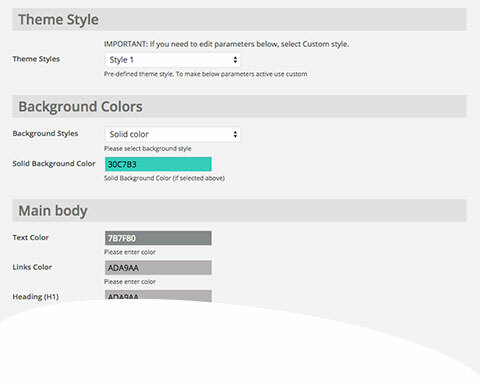 Therefore, you can change any color through the options panel to match your company’s design guidelines. 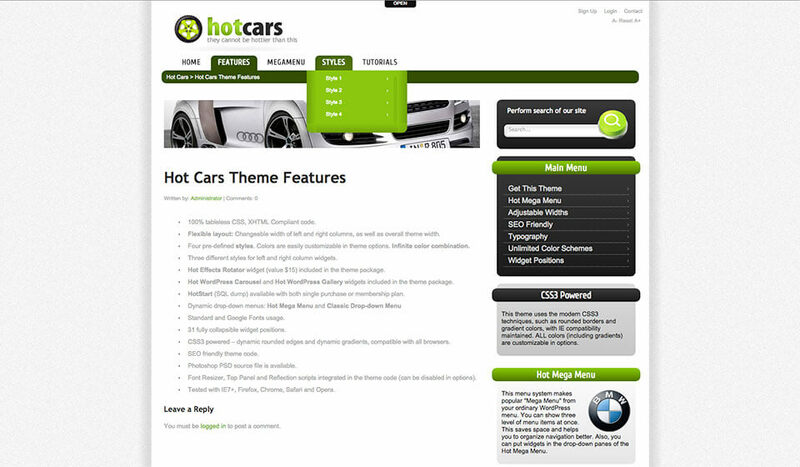 Hot Cars theme uses CSS3 color gradients. It’s possible to change the starting and the ending colors of the gradients through the theme’s options panel. We managed to maintain compatibility with older browsers. Hot Mega Menu allows you to create a complex menu system where you can even publish some widgets, beside the ordinary menu links.